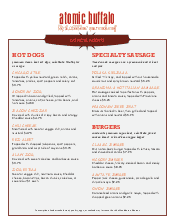 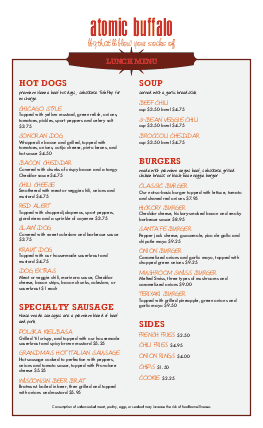 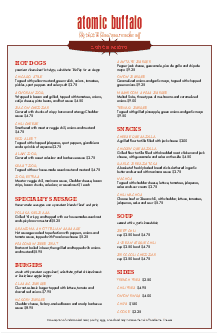 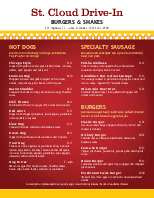 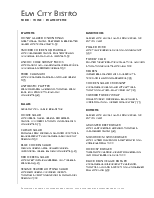 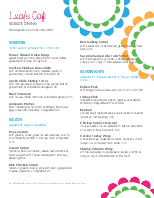 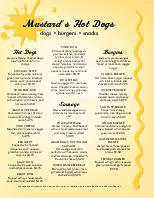 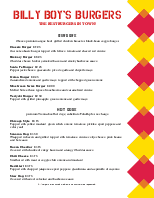 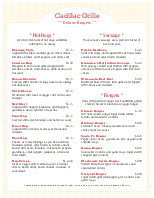 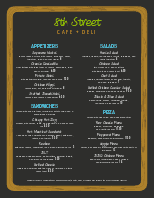 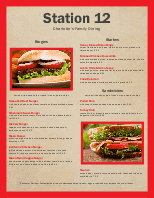 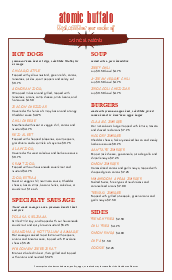 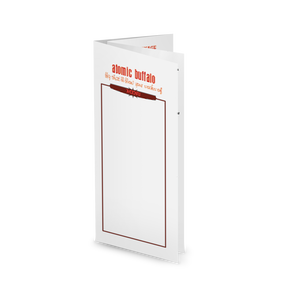 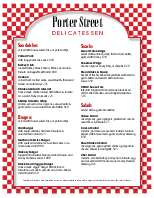 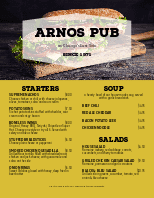 A playful American Deli Menu for a sandwich shop, burger stand, or casual bbq. 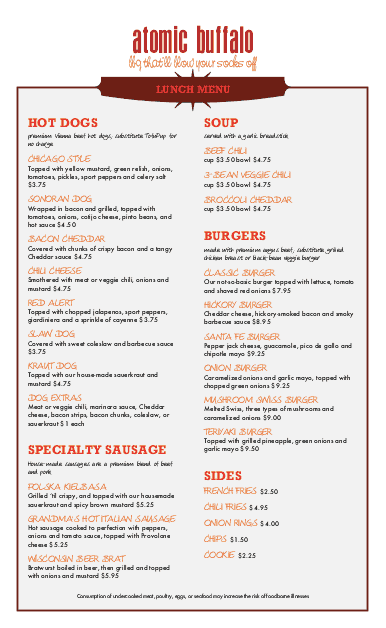 Red boxes frame three sections of deli food in orange text, and the section headers are red starburst banners. 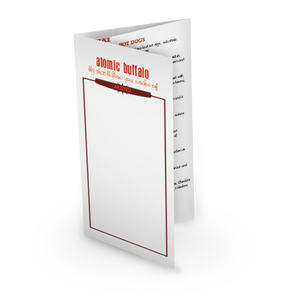 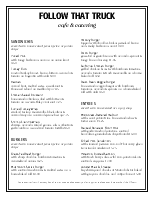 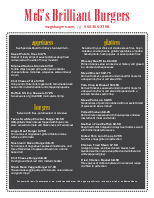 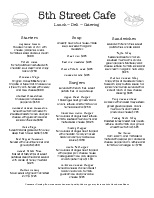 The legal-sized page (8.5 x 14) has space for restaurant info as well, which can be customized in the Menu Editor.